Getting Kevin Frechette or Tarek Alaruri (the founders of FairMarkIT) to brag is difficult. They’re humble guys. So I’ll do it for them. FairMarkIT has changed the game of tailspend and capturing value from tailspend. 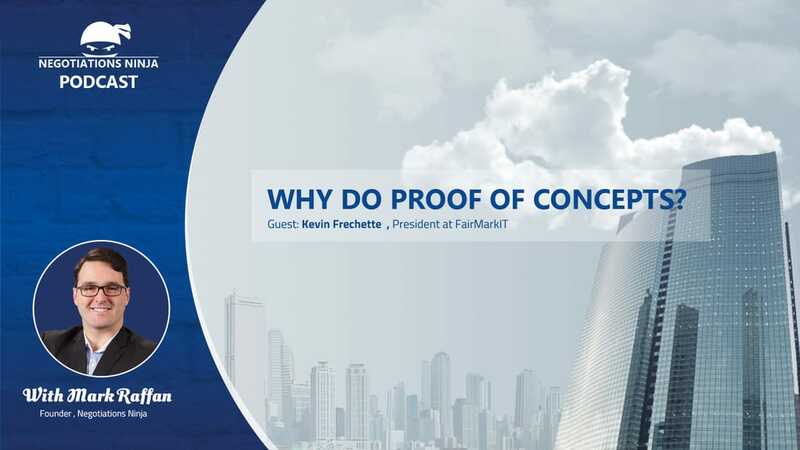 They’re shaking up the procurement world and I could not think of anyone better to have on the show to talk about proofs of concepts than Kevin or Tarek. Proofs of concepts are a powerful sales tool and as a procurement person I’m always a bit weary of the ‘free’ proof of concept pitch because I know how sticky software is and I know how difficult it is to say “no” if the concept does actually get proven. Kevin perfectly illustrates the power of proofs of concepts and discusses why he believes that proofs of concepts should be free but also talks about the investment required to pull off a good proof of concept from the sales side. ​Full disclosure, although it sounds like I have a stake in FairMarkIT, I don’t.